Emily Current and Meritt Elliott have been business partners for almost two decades. 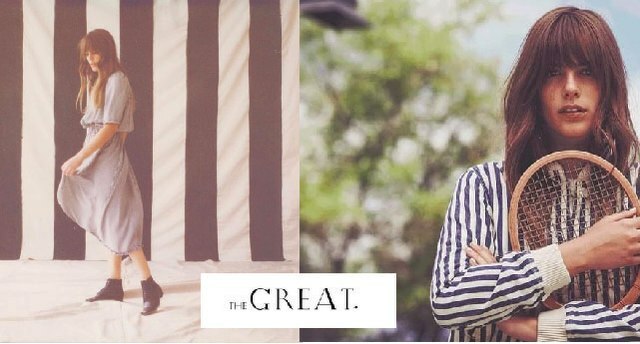 Their journey as entrepreneurs, brand builders, stylists and designers have led them to their most proud achievement to date - a fully realized women’s wear collection, aptly called, The Great. Champions of supportive female friendships and the spirit of creative fearlessness, Emily and Meritt are known for their authentic, kind and optimistic approach to both design and life. Wholesale sales inquires, please contact: Findings Showroom.